Sports & Fitness There are 66 products. Create your own custom shirt personalized in the fashion similar to the New York Yankees jerseys. You may also choose the option to print your Name and Number on back for a few bucks more. 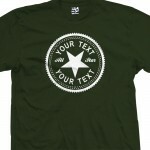 Just tell us what you want your shirt to say in "Text" box. 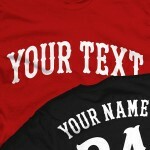 Create your own personalized custom baseball shirt with classic script and tail stylings. You may also choose the option to print your Name and Number on back for a few bucks more. Just tell us what you want your shirt to say in "Text" box. 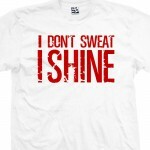 Perfect shirt for the gym whether your throwing weights around or hitting the treadmill. Get yourself some positive reinforcement through this motivational T-Shirt. Available in multiple colors and almost every size imaginable. 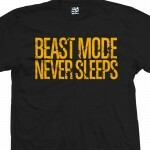 This is the Beast Mode Never Sleeps Distressed T-Shirt. Another Shirt Boss Exlcusive with the Distressed Block text. Available in multiple colors and almost every size imaginable. This is the Beast Mode Don't Care Distressed T-Shirt. Another Shirt Boss Exlcusive with the Distressed Block text. Available in multiple colors and almost every size imaginable. 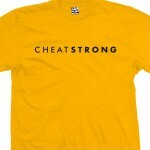 No disrespect to the LIVESTRONG organization, we present to you the CHEATSTRONG T-Shirt. Inspired by the immortal Lance Armstrong. Available in multiple shirt and print colors and almost every size imaginable. The Eat Clean Train Dirty Tee is the perfect shirt for the gym whether your throwing weights around or hitting the stairmaster. Get yourself some positive reinforcement through this motivational T-Shirt. Available in multiple colors and almost every size imaginable. The Live Clean Train Dirty Tee is the perfect shirt for the gym whether your throwing weights around or hitting the stairmaster. Get yourself some positive reinforcement through this motivational T-Shirt. Available in multiple colors and almost every size imaginable. Great shirt for the gym or the field. Get yourself some positive reinforcement through this motivational sports T-Shirt. Available in multiple colors and almost every size imaginable. Perfect shirt to motivate your athletes or co-workers. 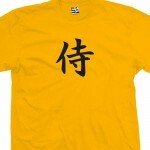 Get yourself some positive reinforcement through this motivational sports T-Shirt. Available in multiple colors and almost every size imaginable. 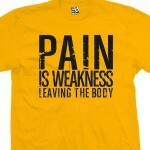 Another great shirt for the gym whether your throwing weights around or hitting the treadmill. Get yourself some positive reinforcement through this motivational T-Shirt. Available in multiple colors and almost every size imaginable. Great shirt for the team or the individual. Get yourself some positive reinforcement through this motivational sports T-Shirt. Available in multiple colors and almost every size imaginable. 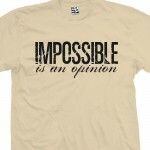 Stay motivated with the Impossible Is An Opinion T-Shirt. Another Shirt Boss Exlcusive with the Distressed Block text. Available in multiple shirt and print colors and almost every size imaginable. Create your own custom shirt. Styled in a similar fashion as the Boston Red Sox. Just tell us what you want your shirt to say in the box below. Available in multiple colors and almost every size imaginable. 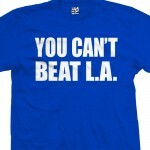 Represent your favorite L.A. Sports Team with the You Can't Beat L.A. T-Shirt. Comes in multiple colors and almost every size imaginable. Represent the Illadelph with the Ill Philly Star Shirt. Inspired by the Philadelphia Phillies logo this shirt can be had in the colors of the 76ers, Flyers or the Eagles. Comes in multiple shirt and print colors and almost every size imaginable. 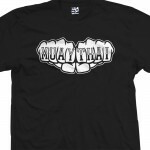 The Muay Thai MMA Fist Knuckles Tattoo T-Shirt is available in multiple colors and almost every size imaginable. Ask us about combining this logo with another on the same shirt. 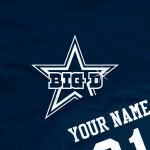 Represent with this all new Dallas Cowboys T-Shirt. A Shirt Boss exclusive design. BIG D with the Dallas Star on the front. Choose to put your name and/or number on the back as well. Clean and stylish football gear for the true Cowboy fan. 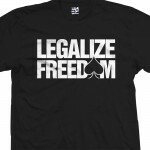 Show support for your favorite card game with the Legalize Freedom Poker Shirt. Comes in various colors and almost every size imaginable. 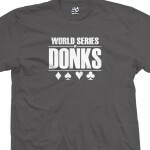 If you're gonna go All-in with a pair of 4's before the flop, at least wear this World Series of Donks Poker Shirt. Comes in multiple colors and almost every size imaginable. 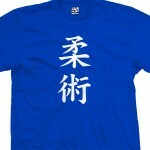 Jiu Jitsu in the style of traditional Chinese Kanji characters. Comes in multiple colors and almost every size imaginable. Ask us about combining this logo with another on the same shirt. We can also change the size or location of the design. Ninja in the style of traditional Chinese Kanji characters. Comes in multiple colors and almost every size imaginable. Ask us about combining this logo with another on the same shirt. We can also change the size or location of the design. Samurai in the style of traditional Chinese Kanji characters. Comes in multiple colors and almost every size imaginable. Ask us about combining this logo with another on the same shirt. We can also change the size or location of the design. Represent Manhattan with your own Manhattan Baller shirt. Mix colors to match your favorite schools or sports teams. Optionally personalize with your name and/or number on the back. Represent Brooklyn with your own Crooklyn Baller shirt. Mix colors to match your favorite schools or sports teams. Optionally personalize with your name and/or number on the back. Represent Brooklyn with your own Brooklyn Baller shirt. Mix colors to match your favorite schools or sports teams. Optionally personalize with your name and/or number on the back. Represent The Bronx with your own Bronx Baller shirt.Mix colors to match your favorite schools or sports teams. Optionally personalize with your name and/or number on the back. Represent Harlem with your own Harlem Baller shirt. Mix colors to match your favorite schools or sports teams. Optionally personalize with your name and/or number on the back. Represent Queens with your own Queens Baller shirt. Mix colors to match your favorite schools or sports teams. Optionally personalize with your name and/or number on the back. 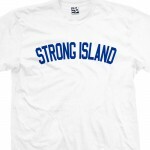 Represent Long Island with your own Strong Island Baller shirt. Mix colors to match your favorite schools or sports teams. Optionally personalize with your name and/or number on the back. Represent Crooklyn with your own Brooklyn Baseball Script shirt. Personalize the back with baseball style Name and/or Number. Comes in multiple colors and almost every size imaginable. 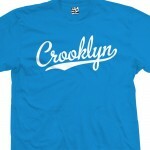 Represent Brooklyn with your own Crooklyn Baseball Script shirt. Personalize the back with baseball style Name and/or Number. Comes in multiple colors and almost every size imaginable. Represent Southern California with the Sur Califas Baseball Script T-Shirt. Including options to personalize the back with baseball style Name and/or Number. Comes in multiple print and shirt colors and almost every size imaginable. The Want > Fear T-Shirt is available in multiple shirt and print colors and almost every size imaginable. Ask us about combining this logo with another on the same shirt.